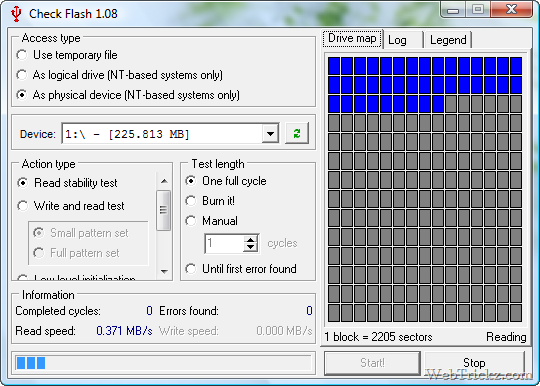 Check Flash is a free tool for testing and formatting flash-drives. It can be used to clean any evidence of activity on your flash drive by formatting it. With Check Flash you will be able to diagnose your flash drives by performing different maintenance tests on it. If you run it with /ALL key, you can kill any other disk. It is a portable tool.